Check blazers are everywhere this season. The season’s runways were awash with fashionable check patterns of all iterations. But that’s not why we’re telling you to embrace pattern in your wardrobe. 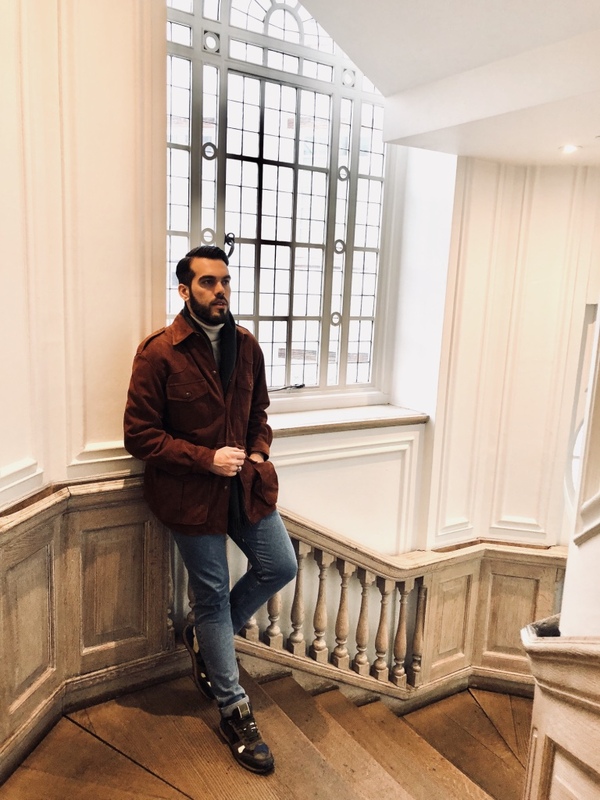 For all its timelessness, a check blazer is a point of difference, a break from the norm and could be just what you need to spice up both your formal and casual dress. 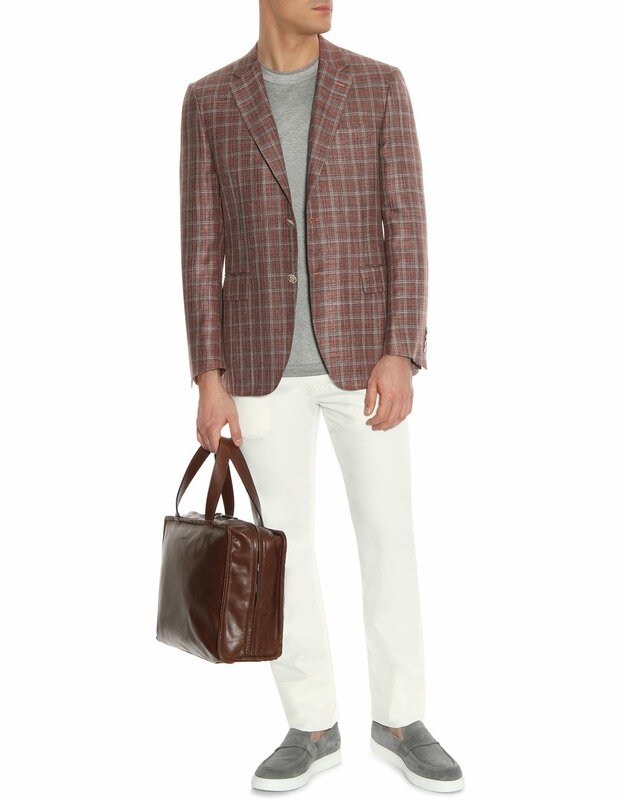 If it’s your first foray into the pattern, then start with a casual take on the check blazer and keep it simple. By its very nature, checks carry an air of formality, especially if they’re weaved in contrasting colours. Today, the check translates perfectly to a more urban casual look. The Canali versions of checked blazers are perfect, worn with white jeans, a plain T-Shirt and casual loafers.The plain neutrality of the look will ensure a casual take throughout. And for those who don’t know Canali, Canali has been the paradigm of tailor-made Italian luxury and men’s elegance for more than 80 years. Since 1934, it has been promoting the values of Made in Italy excellence through its artisanal know-how, creating sartorial masterpieces of exceptional wearability and comfort in a perfect balance of elements that blends culture and history with style and taste. 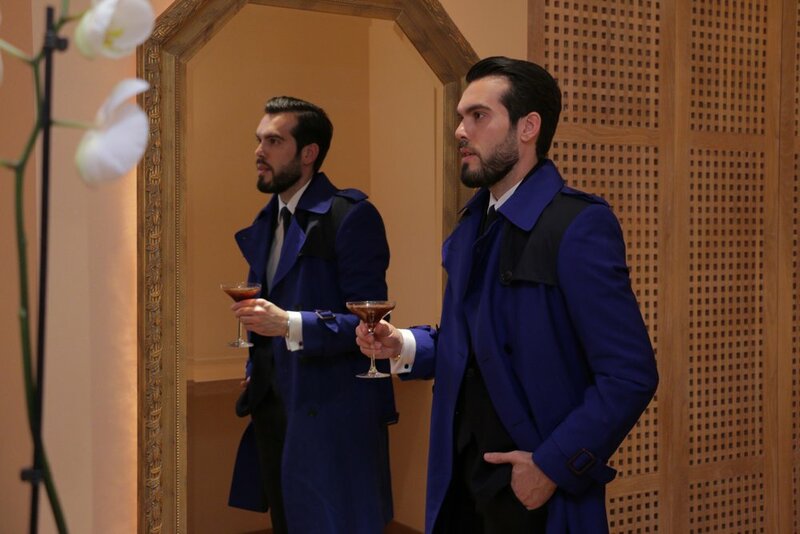 So guys go and check the treasures that Canali offers simply by visiting www.canali.com and invest in a classic checked blazer that will last forever! To shop editor’s favourite pieces just click on the pictures below. Nothing says cool and casual quite like a flannel shirt. While the garment may be simple, it’s also a wardrobe staple that every man should own. Although the name may induce thoughts of the country, it’s time to think again. 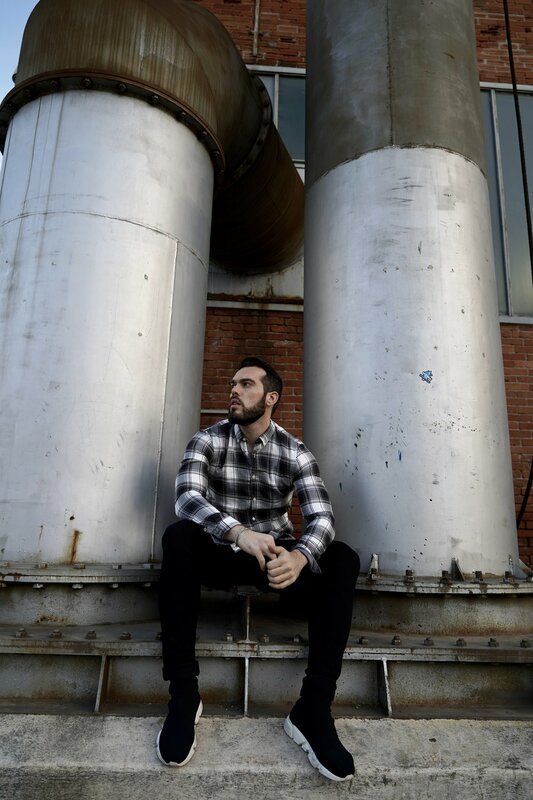 Flannel has made a comeback and is now regularly spotted on the streets around the globe. lannel shirts are typically offered in check prints, but they’re also available in plain varieties. Whether you choose a plain or check style will affect how and when your wear it. Most the time, check styles of flannel shirts will have a more casual and relaxed feel, while plain versions will create a sharper, more polished appearance. As such, you should choose which to wear based on the look you’re trying to achieve. If you do pick a check flannel, be careful to balance your outfit accordingly. As the print can tend to be quite bold, it’s usually best to keep the rest of your outfit minimal and neutral. Looking good while standing in a puddle of your own sweat is no mean feat, but with the below tip, your wardrobe can at least do some of the heavy lifting for you. If your gym membership is mothballed, the darker you should steer. Black is your friend. It hides sweat patches and looks good on anyone: slimming if you’re not yet in the shape you want to be; flattering if you are. I choose some of my favorite athletic items from Antony Morato. How to wear a cardigan without looking dated. A cardigan is a great fashion item to own due to its versatility and ability to suit a wide variety of looks. Whether you’re going for an elegant and formal outfit, a cool and casual style or even something office-appropriate, a cardigan can make an excellent option. All you need to know is how to rock one the right way so that you don’t end up looking like a grandpa. From when to don one to what to pair it with, here’s exactly how to wear a cardigan in style. While the term “cardigan” can cover many styles, it essentially refers to a knitted jumper that opens at the front. Perfect as an easy jacket in autumn or a layering essential in winter, cardigans are designed to provide warmth while still appearing refined. The classical style comes in many varieties, making this wardrobe staple ideal for almost every occasion. Although the garment may not be considered modern or exciting, it is adept at adding a polished and stylish touch to outfits. How Should A Cardigan Fit? Finding the right fit for your cardigan depends greatly on the look you’re trying to achieve. If you want to create a relaxed or casual appearance, try a loose style. If you’re after an outfit that appears more polished, consider fitted cardigans that lightly hug your body. No matter which style you’re going for, you should only ever choose cardigans that fit your size, or the proportions may appear awkward. The bad news is that if you’re hoping to tone up and build size in the new year, you’ll need to do a lot more than just curtail your involvement in winter-induced gluttony. Rome wasn’t built in a day, and neither is a stellar physique. If you’re looking to put on a decent amount of size but you have no proficiency with basic movement patterns, make sure you fix that first. Focus on mastering things like loaded squats, deadlifts, lunges, and presses—all of which challenge a number of different muscle groups at once—to get started. Isolation exercises really shouldn’t be the heart of your program. In other words, biceps curls can wait. Muscle strength and muscle size are not the same thing, and if you don't pay attention to the former, you're never going to be successful with the latter. Most guys who want to put on muscle and not lose weight typically aren’t as strong as they could be. To avoid this fate, start off with workouts that involve lower numbers of reps—between 6 and 12—and use a moderate to heavy weight. This will hit a pretty decent middle ground between training for strength and for size. Think of this phase as insurance for your body, which helps to prevent injury as you boost the intensity of your training and prepare for the serious hypertrophy (read: muscle-building) stage to come. When you're tearing down your body inside the gym, fueling becomes more important than ever; if you do it properly, you’ll have enough energy to recover, rebuild, and still get back in for your next workout. But we're not just talking about chicken breast, brown rice, and protein shakes. While you can salvage lean mass by eating a low-calorie, high-protein diet, you won’t see any explosive or noticeable growth. Aspiring muscle growers prioritize nutrient-dense foods. Eat as many fruits and vegetables as you can tolerate, and shoot for unprocessed plant-based carbohydrates, including quinoa, amaranth, millet, and starchy vegetables like squash or sweet potato. Good lean proteins include beans, lentils, fish, nuts, seeds, and eggs. Yes, chicken breast is still fine. All meat is still fine! Just don't confuse a cutting diet, which are often low in calories and high in protein, with a muscle-building diet, which includes a fair portion of carbohydrates. There are professional athletes out there who are great at more than one sport. But you, in all likelihood, are not one of them. If building muscle is really your top priority for 2019, take some time to focus on lifting weights and not doing a whole lot else. It’s possible to put on muscle while still including long endurance work, but for most people, that balancing act will be more trouble than it's worth. Those Saturday morning ten-mile runs, like biceps curls, can wait for a few weeks. Routines don't become routines overnight; they become routines because people go weeks or months or years without changing a thing. 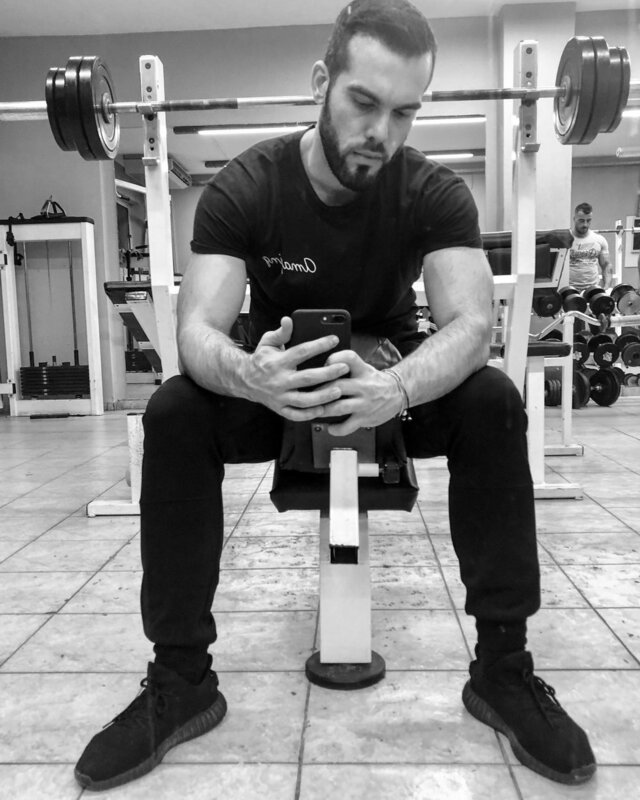 To ward off boredom, it's a very good idea to mix up the weights, or change the occasional rep scheme, or combine several core movements into one. just to keep the body guessing. But always remember: proficiency before creativity. Don’t go hitting thrusters—that’s a squat into a press—before you’ve got the squat 100 percent down. Why? “You’ll need to fall in love with the press, deadlift, squat, and more—and if you're going to do this over the long term, you'll need to fall in love with all those things more than once. 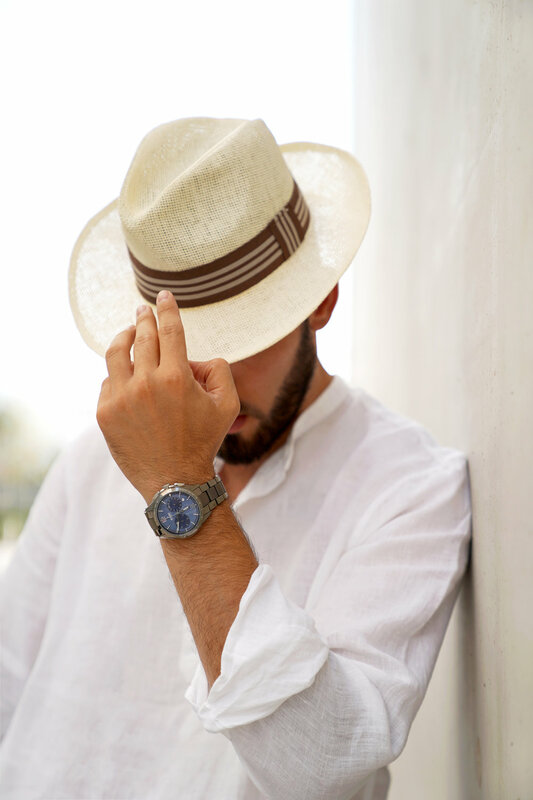 Watches are a sign of style. The watch you choose to wear can attract others' attention more than the clothes you wear. 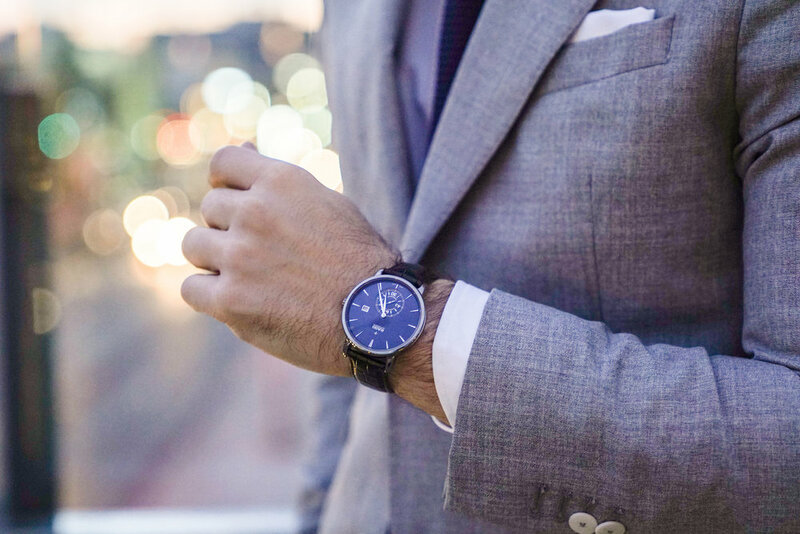 And when it comes to gentlemen, the watch is an accessory that deserves to be appreciated. The wristwatch makes it easy to get a sense of style. This is a form of self-expression - it reflects the character. Like my Rado DiaMaster Petite Seconde express my more stylish, tailored and minimal side. Wristwatches are pieces of art. Wristwatch is more than a time tracking device. It is a symbol of tradition and history which carries the spirit of handmade work. I Each of the mechanisms is placed manually, and the result is a truly unique piece of art. Few are the men who realize that the wrist watch is a piece of art. Only a true gentleman always appreciates this exquisite accessory that complements his garments. A wristwatch is the perfect investment. It is not actually a true financial investment. It is rather an investment in your appearance and style, and thus in your way of life. For a long time, prestige and elegance go hand in hand with the expensive and stylish wristwatch. A blue suit is perfect for warmer weather conditions, adding a splash of color and lightening up your suit wardrobe. While it is versatile and can definitely carry you through to the winter months. Buying a suit can be a really daunting process, especially when you’re spending good money and are looking for more of an investment piece. 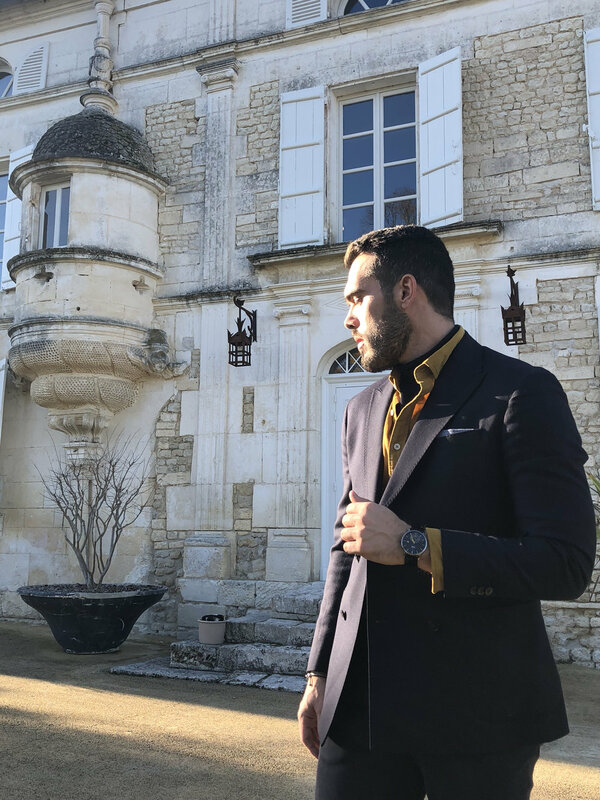 I’ve tried to help ease the fear with some helpful tips and tricks for not only buying your suit, but also picking what to wear with a blue suit when it comes to shirts and accessories. If it’s a perfect fit you’re after, the only advice to give is to visit a tailor. Whether you get a suit custom made or buy a suit and have it altered, if you want a suit tailored to suit you, the seamstress has to have taken your body measurements into account. 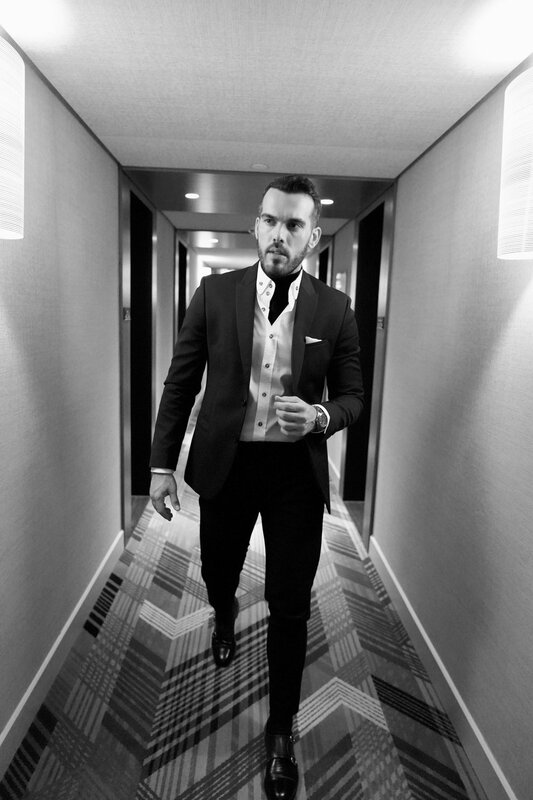 Let’s face it, buying a suit from a store is never going to be perfectly fitting. However, this definitely isn’t the easiest, or most cost efficient option so don’t worry, we’ve pulled together some pretty strong advice for choosing your dream suit. 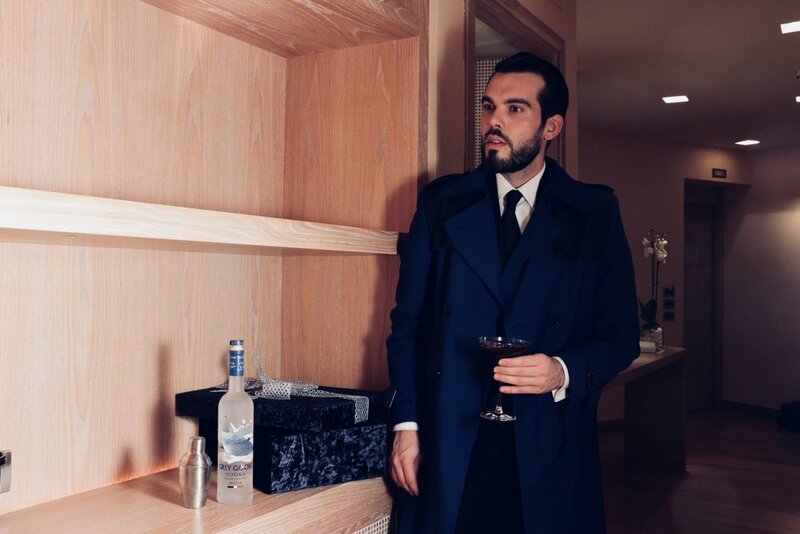 The best thing about mastering the smart-casual look is that you can go straight from the office to the bar – winner. Swap out your crisp shirt for a plain with a monochromatic bold shirt and some boots instead of brogues for a sharp but more casual style. 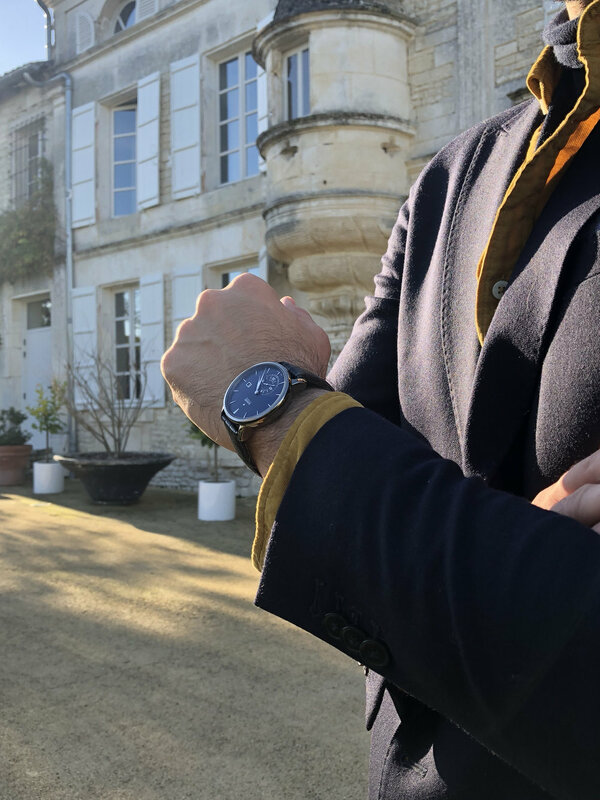 If you are the kind of guy who cannot live without a watch, like me, choose a nice watch with minimalistic design, blue details and readable dials. Like my Rado DiaMaster Petite Seconde. 1.Clean your watch as often as possible. Take a soft cloth and wipe down the band and the case to remove any dirt or dust. 2.Get your watch serviced every two or three years for a mechanical watch and three to four years for a quartz watch. 3. Know your watch’s water resistance. Most watches these days are built with some water resistance, but vintage watches tend to lose their waterproofness over time. If your watch is not water resistant, it can still handle small splashes of water, but it’s best to avoid it. And, if your watch has a leather band, avoid getting your watch wet –water weakens the leather. 4. Take care of the crystal. This is quite obvious, but it’s still important and worth mentioning. 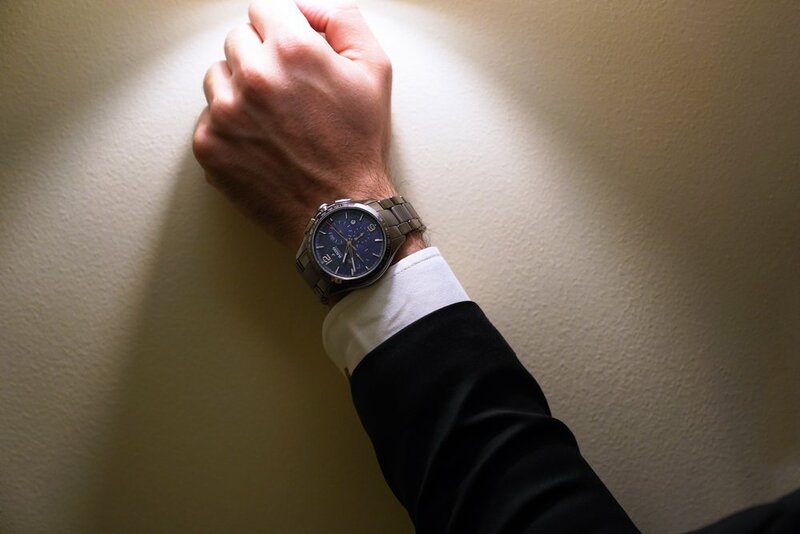 Take every precaution you can to prevent from banging the crystal of your watch against a wall or any other objects that may cause scratches. 5. Keep your watch box for storage. When not wearing your watch, it’s best to keep it in the box it came in. By setting the watch on its side or on the crystal, there is always the possibility the watch could get scratched. The watch box is made to keep the watch safe and offers protection for the watch. 6. Never open your watch by yourself. Leave this to a watchmaker. Opening your watch can expose it to dust, dirt, and other particles that can get inside the movement, so it’s best to leave this up to a professional. It’s finally time to get away from your desk and enjoy a night out. No need to wear a three-piece suit, but being appropriately dressed, comfortable and stylish is ideal for any occasion, whether it’s smart or not. With so many styles and personal preferences there’s no set rule on what to wear on a night out. However, what do you wear to a club? Choose a classic black suit! For the shirt, make sure it’s slim fit, long enough in the sleeves (no short sleeved shirts), and buttoned up to your collar bone. The trousers also need to be slim fit, as anything too loose is immediately going to look too relaxed and possibly messy. As for shoes, keep to neat lace-ups like oxford shoes and brogues. However, if that just isn’t for you, you can also try a very neat pair of suede chukka boots to keep things classy but comfortable. Pair it up with your sleek and stylish watch! As you already know I am always wearing the Rado HyperChrome Automatic Chronograph, which I love! 1. Remember your vitamin D.
If you’re being diligent with the sunscreen you might not be getting quite as much D as you think. Our bodies produce vitamin D from the sun’s UV rays. But sunscreen blocks UV absorption, and therefore prevents the production of vitamin D. Focus on getting your fill through food sources instead, like egg yolks and fatty fish like salmon, tuna, or sardines. 2. Snack on homemade pickles for something crunchy. Instead of getting your crunch fix from a bag of potato chips or paying an arm and a leg for a jar of artisanal pickles, make your own on the cheap with cucumbers from the farmer’s market. Fill a large jar with equal parts water and vinegar, along with a healthy pinch of salt, whole peppercorns, garlic cloves, and fresh dill. Add as many sliced cukes as will fit and marinate in the fridge for one to two days before eating. They’re a flavorful, low-calorie snack. And yes, they count as a serving of veggies! 3. Guzzle a glass of ice water before meals. It’s an easy rule to help you stay hydrated, sure. But that’s not all. Drinking water before a meal could help you eat fewer calories, making it easier to keep your weight in check. As an added bonus? The icy cold water might give your metabolism a slight boost. Skip the sodas and add fresh lemons and cucumbers to your water so you get a little more excited about drinking it. There's a reason watermelon is the fruit of the summer. Yes, because nothing tastes better than a slice of the pink melon on a hot day, but it's also rich in lycopene, an antioxidant that can help protect your skin from the sun’s damaging UV rays, says registered dietitian Amy Goodson. It’s no substitute for sunscreen—but every little bit helps, right? 5. Drink pomegranate juice after a sweat session. Outdoor summer workouts mean extra sweat, which can throw your electrolyte levels out of whack and leave you dehydrated. But pomegranate juice is loaded with potassium, an electrolyte mineral that can help you rehydrate and encourage your muscles to recover faster. 6. Don't forget to hydrate during happy hour. The combo of alcohol and tons of sugar means that summer happy-hour favorites like frosé and margaritas leave you bloated and dehydrated. (Not a fun combo when it’s hot and sticky outside.) Swap them for lower sugar drinks like plain rosé, gin and club soda, or a Paloma, Savage recommends. And have a glass of water withyour drink instead of in-between drinks. The sun is out, temperature is up, and you’re left wondering how to dress during this season and keep looking sharp. 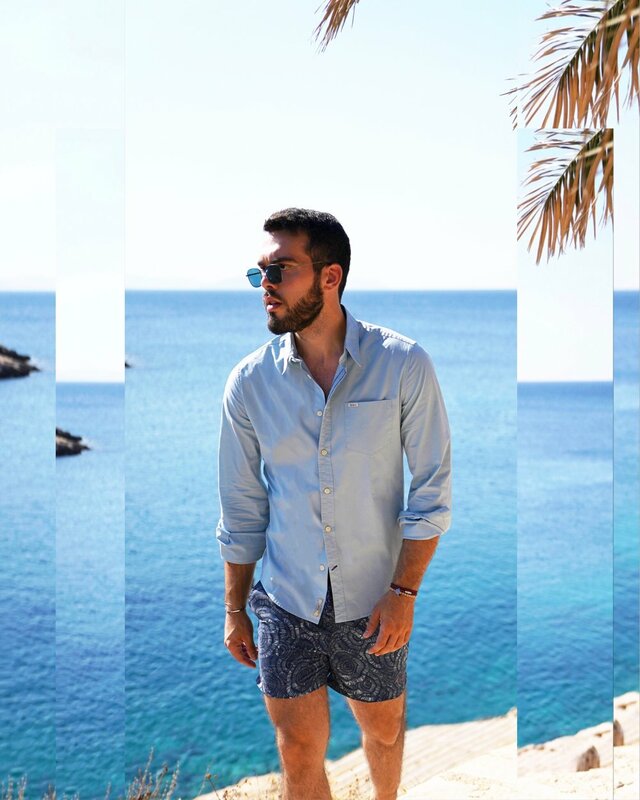 Well, dressing well in summer isn’t as hard as you might think. You don’t need multiple layers to look your best. You can look great wearing just a single layer and by choosing the right accessories. 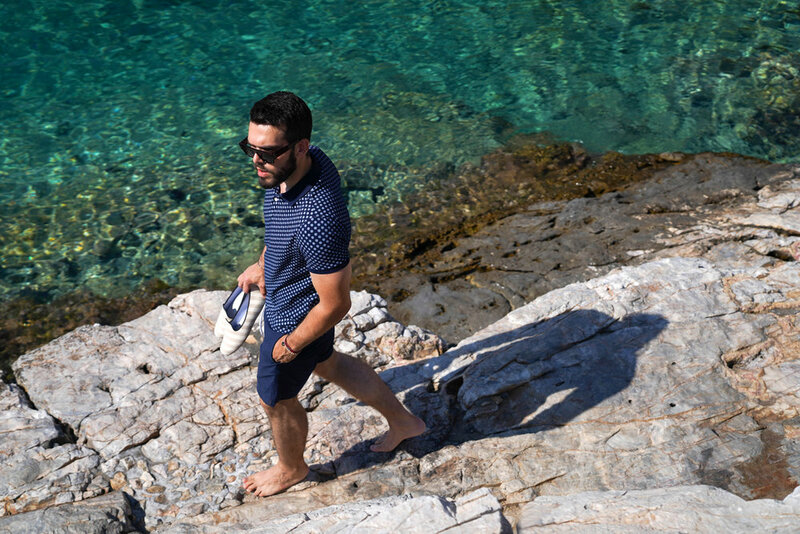 And if you invest in summer-appropriate fabrics like linen and cotton, you can even still wear layers without ending up a sweaty mess. 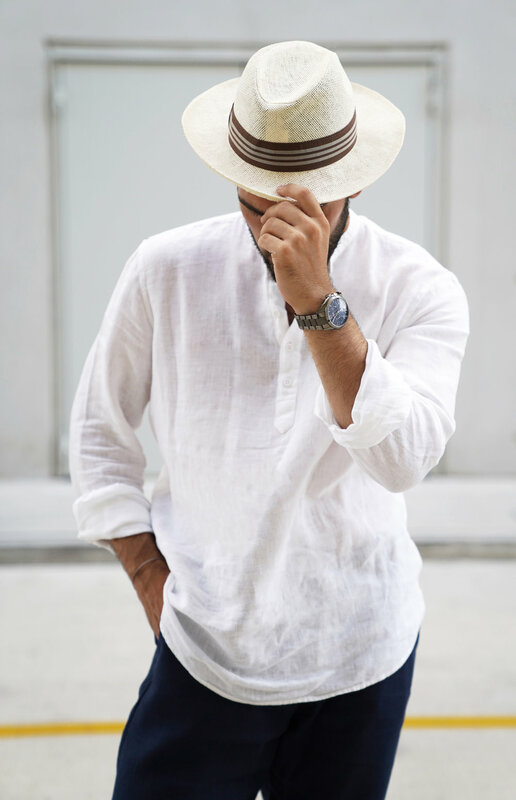 Linen is probably my favorite one and has been the warm weather cloth of choice for centuries for good reason. It’s super lightweight, breathable, and absorbs moisture exceptionally well. Adding an all time classic watch to your outfit will upgrated and will make you stand out from the crowd. I choose the HyperChrome Automatic Chronograph, an automatic watch made of plasma high-tech ceramic. A very durable watch which means I do not have to worry about it and enjoy my summertime. Swimsuits are, relative to a lot of menswear, forgiving garments to shop for. You don’t need an absolutely perfect tailored fit, so long as the suit stays up when you dive in (and most have a cord at the waist to help with that). You are likely to only have one or two swim garments in your wardrobe at a time, so it’s worth finding ones you really like. Are you trying to impress anyone? If not, stop worrying. Wear whatever is comfortable and works for you. Are you trying to look professional? Conservative (but not exaggerated) length, conventional styles (trunks or square-cuts), and dark, solid colors or restrained stripes are for you. Navy blue with brass-colored grommets and white rope ties are always safe. Do you want to look as good as you can? If so, you’ll need a cut that flatters your body type (see below), and a color and pattern that’s eye-catching without being ridiculous. Think stripes, plaids, bright solids, or some not-too-crazy floral patterning. 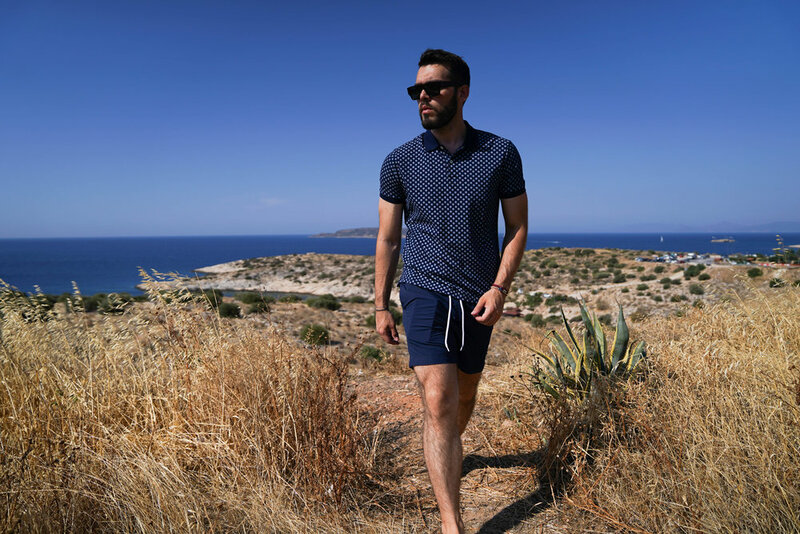 Larger men should avoid close-cut styles like board shorts, despite them being in fashion. These questions will affect the color, patterning, and cut you decide to go with. 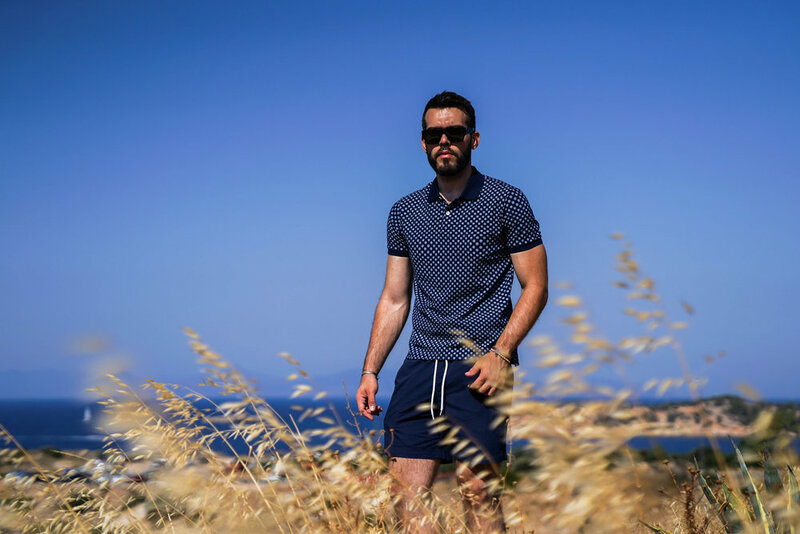 My choice is this Pepe Jeans swimsuit and shirt that really flatters my body and express my personality. 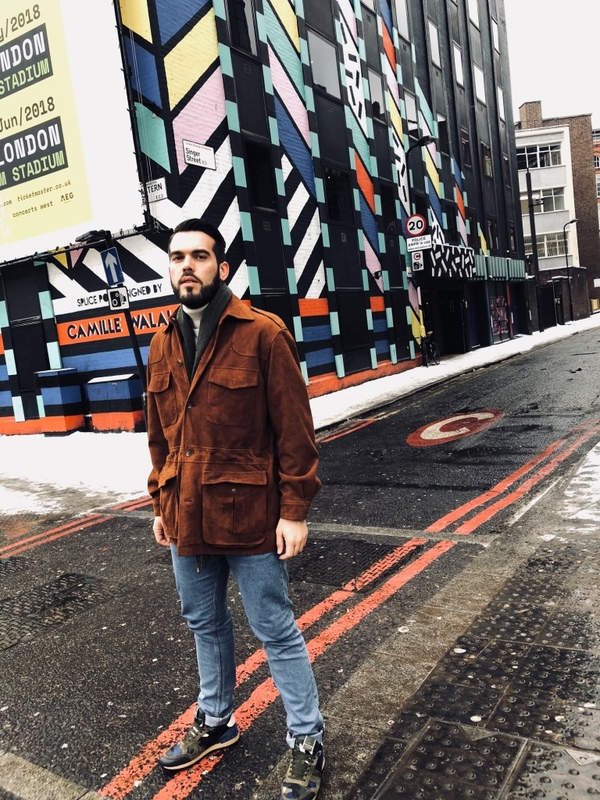 This time in London, I found myself strolling around in the streets and craving for some good vintage pieces. 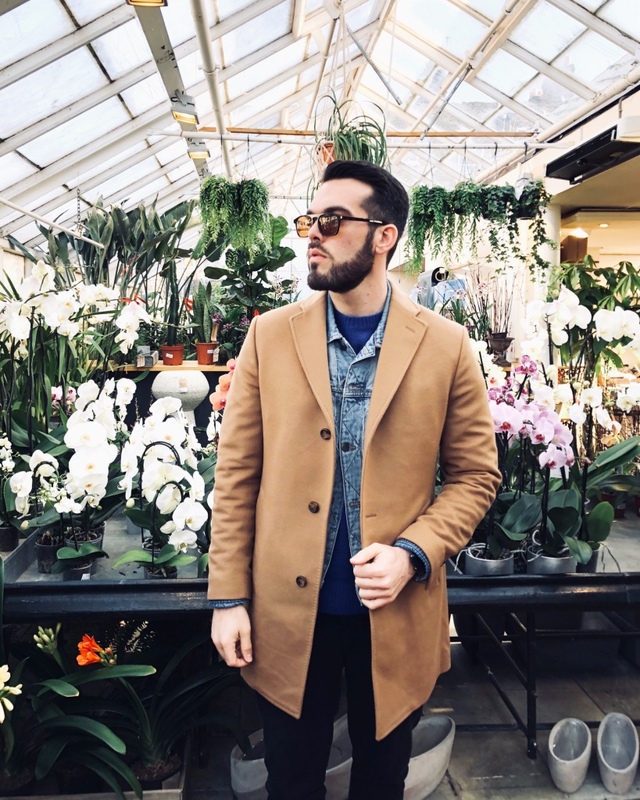 I have visited many shops and ending buying the brown suede jacket that you see in the photos. I really loved it and I bought it for just 45 pounds. 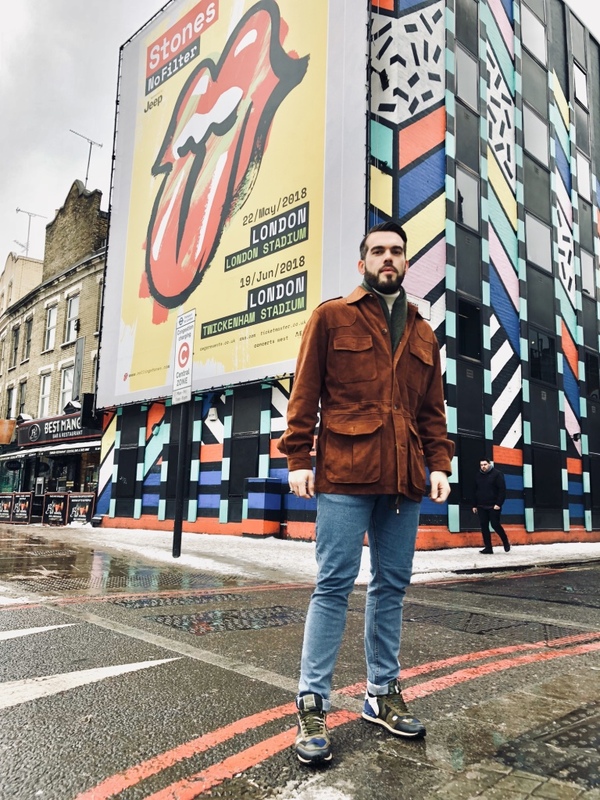 Returning back home I though why not writing an article about what to be careful when you vintage shopping and which essentials rules to follow. 1. When you do find something you like, remember: If it is too small, throw it back! Alas, we are here to inform you—you are not going to lose that weight. 2. On the other hand, if it happens to be too big, it can often be taken in. 3. If it’s a knit, you can hand-wash it and sometimes resize it somewhat. 5. If the fabric is weak, if the beads are falling off (and isn’t that always the case with your favorite thing in the whole shop? ), it better be super-cheap. 6. If it smells nasty, the dry cleaner has a process to deodorize it, which can sometimes help. 7. Stains that have been in a garment for 20 years are not coming out. 8. Always check the armpits carefully! Here lies trouble. 10. Yesterday’s outerwear can be miserably heavy—make sure you won’t end up schlepping through next winter with a refrigerator tied to your back. 11. If you are new to the world of vintage—or if the above warnings have scared you to death—consider getting your feet wet with an aging accessory. 12. Your bargaining power will increase immeasurably if you bring cash. Nothing persuades a weary seller to meet your price more than subtly waving a thick wad under his or her greedy little nose. Plus, if you leave those credit cards at home, you can only spend the amount you brought with you—a foolproof way to cut down on costly mistakes! Sure, it’s difficult—but aren’t life’s worthiest lessons the ones that can seem hardest to accept? 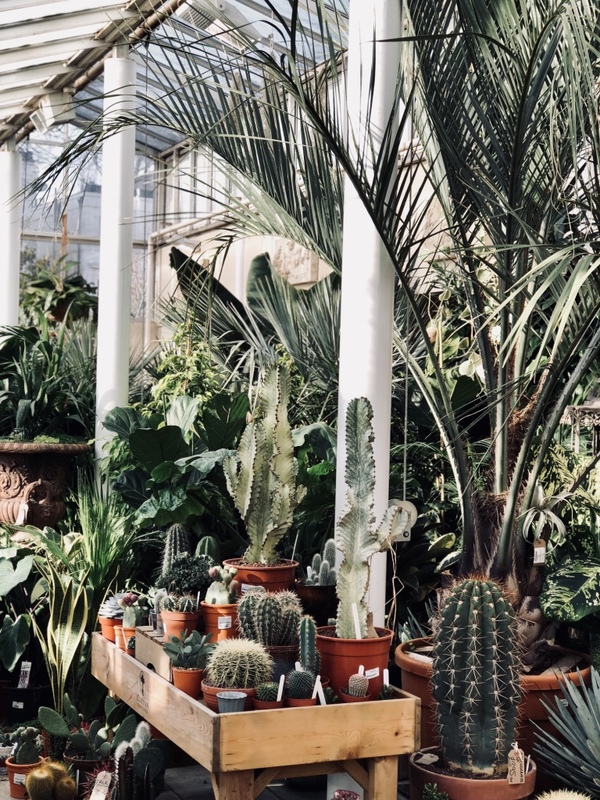 Buying plants for your garden can be an overwhelming experience. 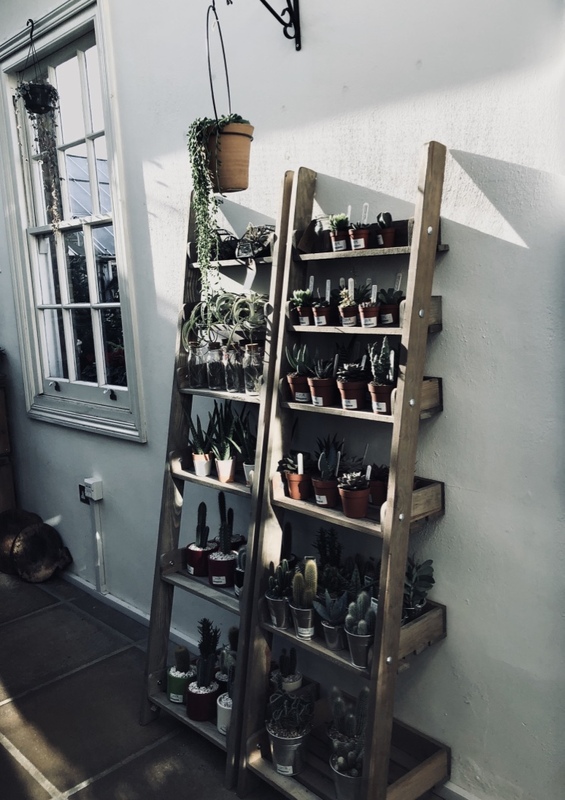 It helps to have a list so you are less likely to come home with impulse buys for which you don’t have the space or the right growing conditions. You’ll find plants sold in many different places from small garden centres to grocery store parking lots, home centers to big box stores. Steer clear of temporary plant stands that sprout like crabgrass each spring. Yes, you can scoop up deals, but generally the selection is skimpy, the staff not well trained, and the plants not watered often enough. With annuals, it’s fine to buy small ones – these plants grow to maturity very quickly – but with perennials, bigger is better. Often new gardeners opt for perennials in small 4-inch pots because they’re not confident they will be successful. The reasoning goes: “If the plants die, I haven’t lost as much.” But buying plants in tiny pots can be a misplaced saving because the smaller the plants, the more time you’ll have to spend nurturing them. You’ll have to watch that faster-growing plants or weeds don’t overpower them, that they don’t dry out, and that you don’t pull them out by mistake. 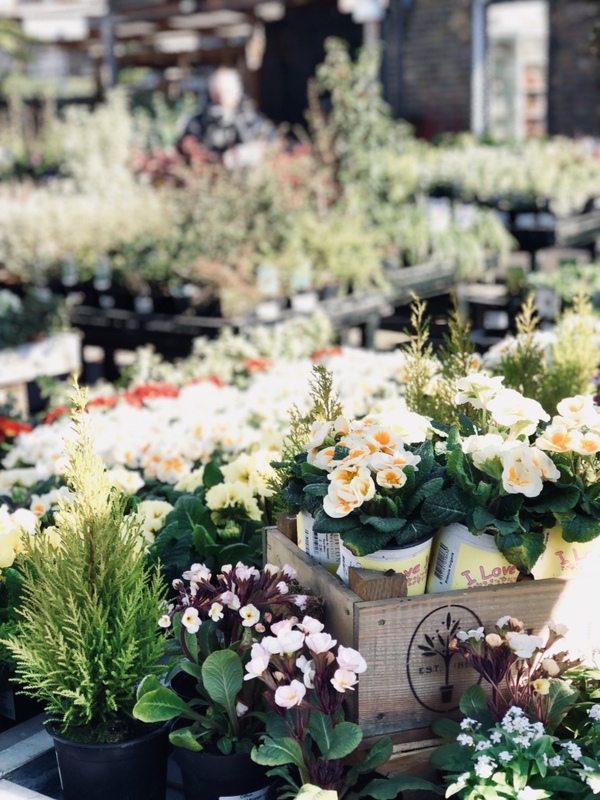 When buying plants, gardeners make a beeline to flowers in bloom. Of course, seeing the blooms is handy: it’s easier to decide whether a plant fits your color scheme. However, many perennials for sale in spring are coaxed into early blooming in greenhouses before they would normally bloom in the garden. The next season, your perennial will bloom at the normal time for the species, which is usually a bit later. The normal time for blooming should be indicated on the plant tag. Black is by far one of the most popular colors when it comes to fashion, and it’s easy to see why. 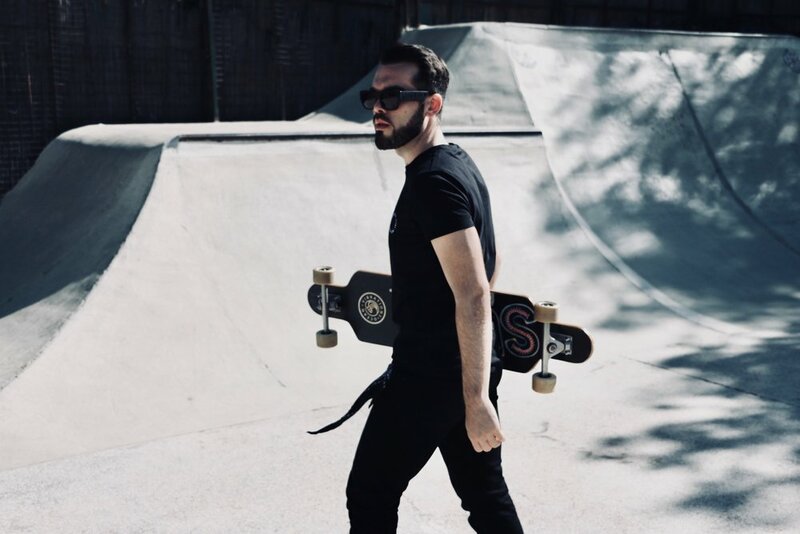 The color black in fashion has traditionally been associated with class, sophistication and even mystery, which makes it amazing for smart style and formal wear. 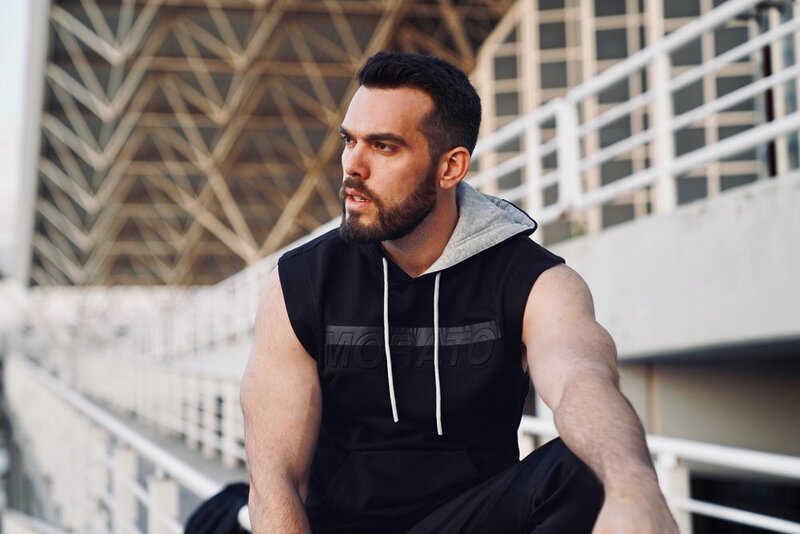 Be careful when buying your black clothing though, it’s easy to see when a piece of black clothing is low quality because after a few washes it fades to an icky grey color. When it comes to black, quality is very important.If you live in a warmer climate, I’d steer away from wearing too much black in your outfit, as it can look awkward and feel awkward. Sunny climates are meant for color! 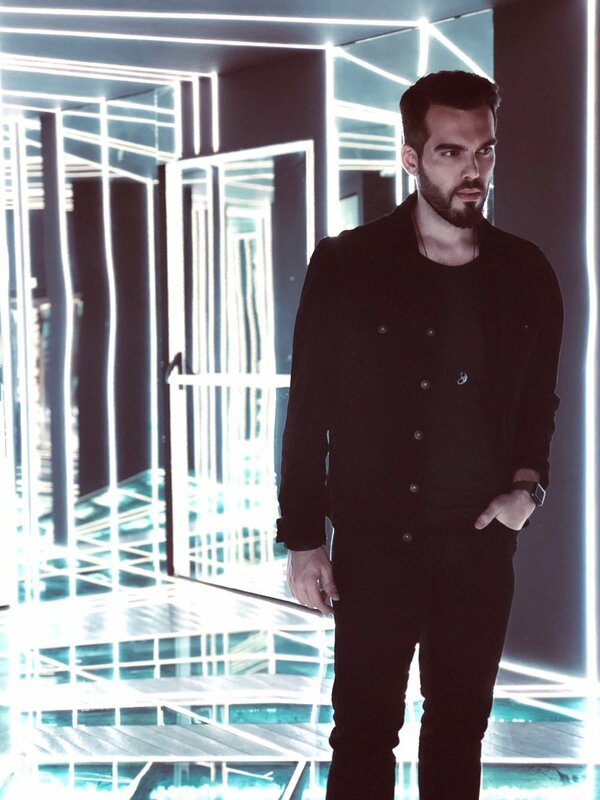 While there is nothing wrong with wearing an all black outfit, make sure black doesn’t take over your entire wardrobe like it has a tendency to. Wearing black all day every day can and will get boring. Layering your black outfits with things such as hoodies and black leather jackets makes for a great look. Sometimes when the outfit calls for it, throwing some vibrant or earth tone colors can make an all black outfit look even better. Christmas has come to town again, the festive lights are on and Santa's are appearing in shop front windows. So now it's time to sort your way through the ideal present you can get for your best friends and family, as well as a mini style guide! To help get your mind in the festive spirit, we've got the perfect gift idea. Whether it's a present for your wife or girlfriend, your parents or your co-worker, there is nothing better to get them than a bottle of fine french vodka. 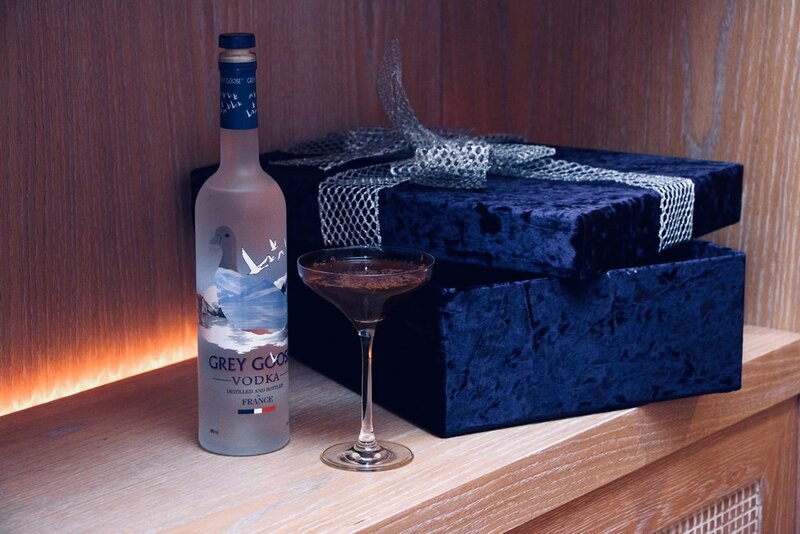 Grey Goose this holidays suggests to celebrate it with the ultimate cocktail of all, and that is the Espresso Martini. You just need Grey Goose vodka, espresso, espresso liqueur, salt, ice and a chocolate bar. Everyone will love it. So do not overthink it, gift a bottle of Grey Goose and receive one! Being stylish during the holiday season is very important as well! Choose a nice tailored suit that will make you look polish and fine! And to keep you warm and stand you out of the crowd choose a statement trench coat! Like the one I am wearing in the pictures and it is made by Dimitris Petrou. Received an invite to a swanky party? If so, then you’re going to need to know what to wear. Although black tie events can be daunting, they’re not as scary as they first appear. 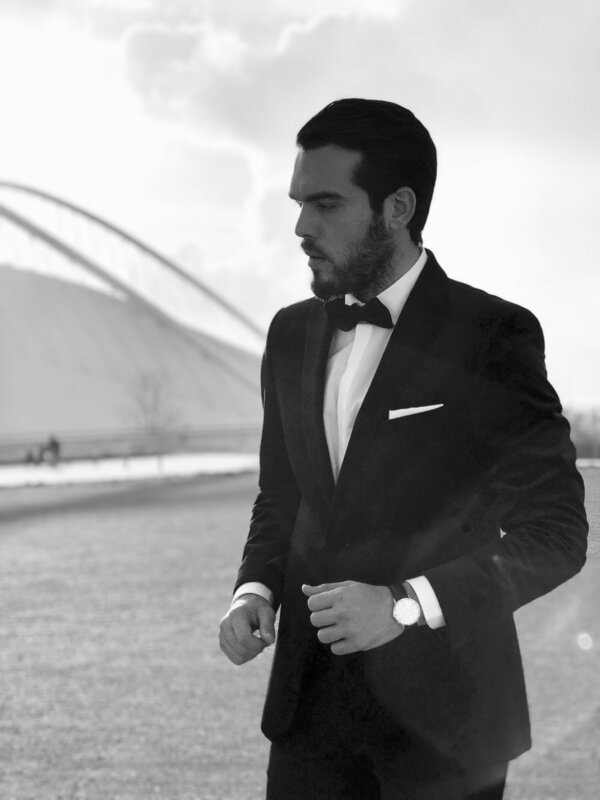 So, here’s our black tie guide, with all you need to know about what to wear to a black tie event.You may think that black tie dress is the most formal look you can wear. However, this is actually white tie dress code. Fortunately for you, not many people still wear white tie dress, which means that black tie has become the standard dress code for formal social events. Wearing black tie can be a fun, but sometimes expensive, style to get right. So, carry on reading for all our best tips. Very simply, a black tie event is a formal evening event or party that takes place after 7pm and involves men and women wearing a specific ‘black tie’ dress code. Black tie events are social functions that are generally more formal than a run of the mill party or business event. You wouldn’t wear the suit you wear to work to a black tie event for instance. An example of a black tie event would be along the lines of a ball or a corporate business party. Unless you’re James Bond you probably won’t go to too many black tie events. 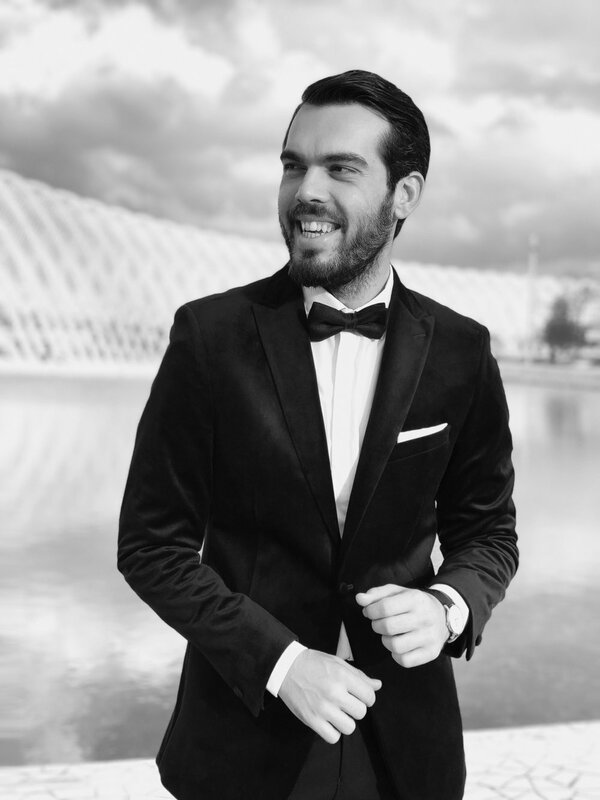 However, it’s still important to know what and how to wear black tie dress code, for those instances when you need to whack out the bow tie and spruce up. 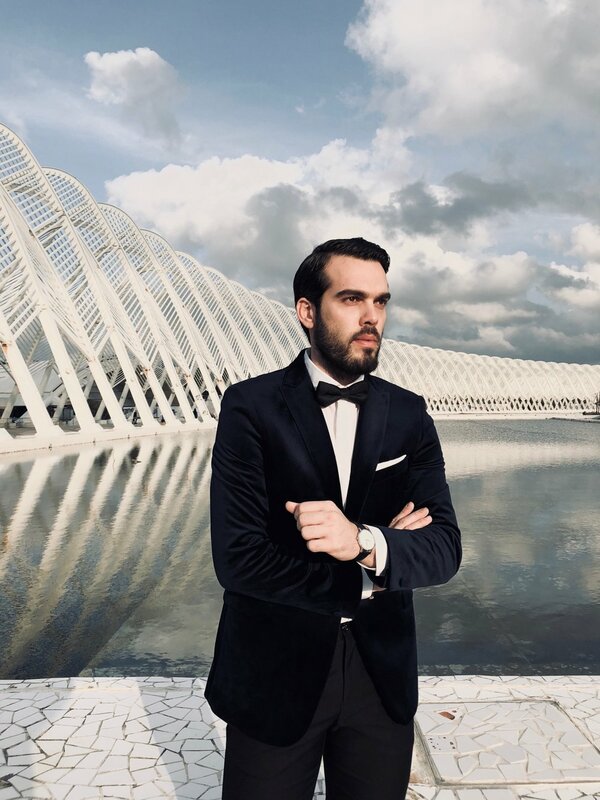 Many of you may be think “what is a tuxedo?” or “what is black tie?”, well, the black tie event dress code, known as cravat noir in France, is a semi formal evening dress code. It originates from the western, British, men’s evening wear of the 19th Century. You would usually only wear a black tie dress code at events that take place after 7pm. 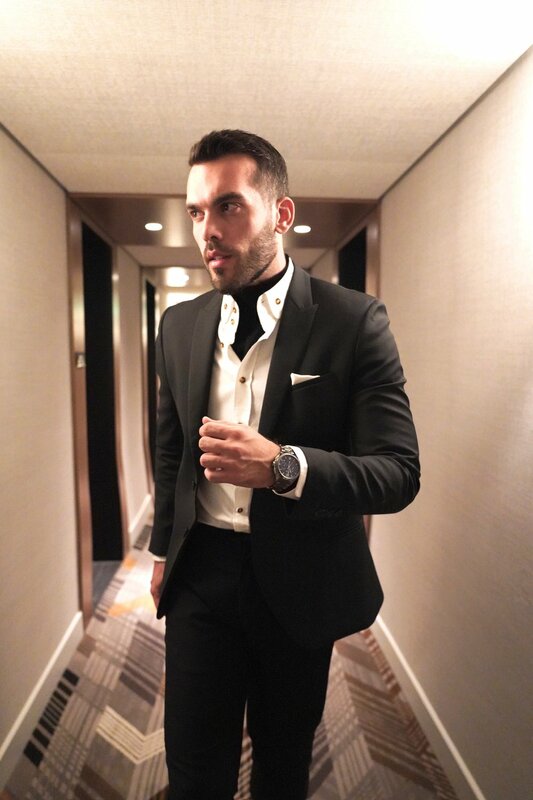 A black tie dress code is less formal then a white tie dress code that involves a man wearing a tailcoat jacket with a starched shirt, waistcoat and white bow tie. Black tie dress code however, is more formal than business wear. It typically involves a man wearing a white dress shirt, a black bowtie, an evening waistcoat, a dinner jacket in which the lapels are a different shade to the rest of the jacket, and a pair of black oxford shoes. You may know a dinner jacket from its American name, tuxedo. Today, the majority of us think black tie dress code as being very formal. 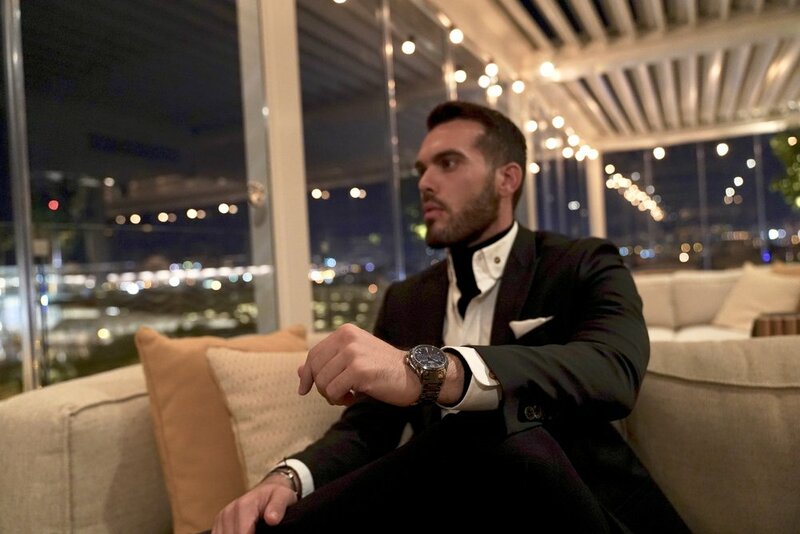 However, when men first began to wear dinner jackets, in the Victorian era, it was originally a much less formal item of clothing in comparison to what upper class men wore everyday. Therefore, it was originally a less formal alternative to a tailcoat. However, declaring it inappropriate to wear in mixed company, not many men wore black tie dress. It wasn’t until after the First World War that the dinner jacket became the principle form of evening wear for men.